Locate shared element in VP project without hassle! Models reuse involve locating them across a large group of VP projects in an enterprise, which could be a painful and lengthy process. 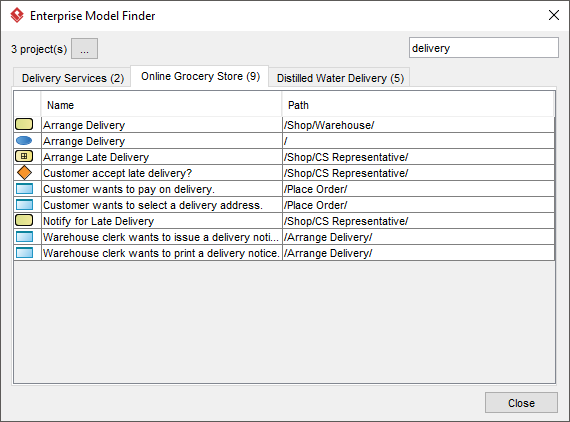 With the powerful Enterprise Model Finder, you can perform keyword searching based on the elements' name and description and obtain the result just in a few seconds.